Fa-La-La Fabulous Arrangement in Valparaiso, FL - FLOWERS FROM THE HEART LLC. FLOWERS FROM THE HEART LLC. 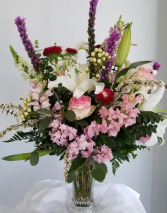 Valparaiso FLORIST - FLOWERS FROM THE HEART LLC. 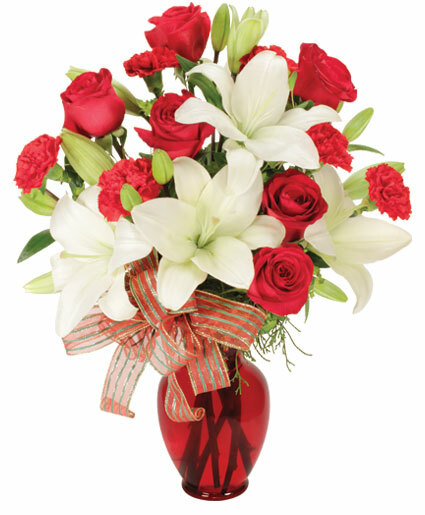 Festive red roses, carnations, and snow white lilies have enough Christmas cheer to make every day merry and bright! Order this fa-la-la fabulous arrangement and deck the halls today! 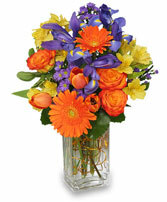 Send a dose of warmth and color to someone's day with this colorful blend of spring blooms designed in a wicker basket.